Elliptical machines are effective alternatives to higher-impact cardio exercises, like jogging and treadmill exercise. However, many elliptical machines don't track your distance traveled, at least not accurately. Luckily, it's pretty easy to estimate this using a simple calculation based on the stride length of your particular elliptical trainer. The stride length may be listed on the elliptical itself, but if not, you can find it in the manual or by doing a quick search for your particular model online. 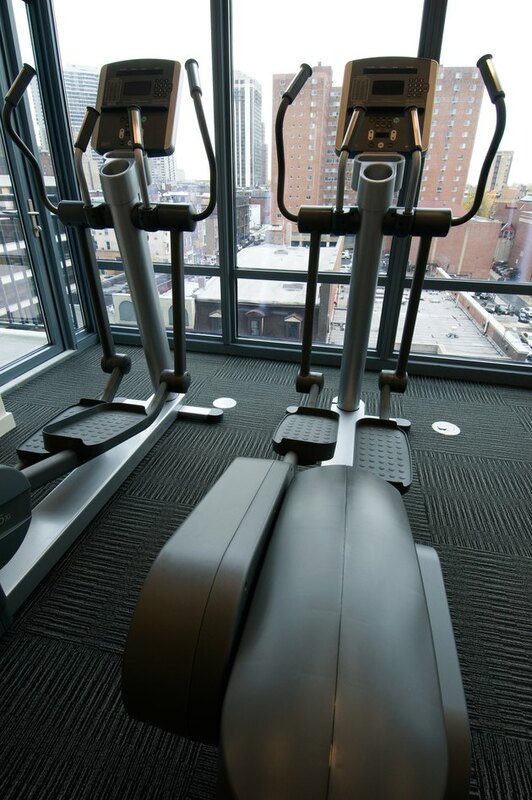 Elliptical machines track the number of revolutions your feet go around the elliptical path by using strides per minute, or SPM, and rotations per minute, or RPM. One SPM is equal to one of your feet moving a half revolution, while an RPM is equal to your feet doing a complete revolution. In other words, 120 SPM is equal to 60 RPM. This is important to know if you plan to convert your distance traveled from SPM/RPM to miles. The stride length of your elliptical is a measure of one stride from the forward-most position to the back-most position. A common stride length ranges from 16 to 20 inches. Calculate a mile traveled on an elliptical by taking the number of inches in a mile, which is 63,360 inches, and dividing it by the stride length of your elliptical. For example, an elliptical with a 20-inch stride length would travel a mile in 3,168 total strides. If your elliptical tracks uses RPMs, just divide this figure by two to see how many RPMs it takes to travel a mile. In this example, it would take 1, 584 RPMs to travel a mile. The stride of most elliptical machines is less than that of a normal walking or running stride length, which is why it takes more strides on an elliptical to reach a mile. It takes about 2,000 steps to walk a mile. You can estimate the number of walking-equivalent steps you take when exercising at a moderate pace on an elliptical machine by multiplying the number of minutes you exercise by 203. For example, training on the elliptical for 30 minutes equals about 6,090 steps. This is useful if you're tracking your steps throughout the day using a pedometer and the device doesn't track steps effectively when training on the elliptical. When determining how much distance equals a mile on adjustable foot pad elliptical machines – machines with manual or electronic pedal adjustments to increase or decrease stride length – don't forget to factor in different stride lengths when determining the calculation. The longer the stride length, the less SPM or RPM it will take to complete a mile.